Colony multiplication of the neotropical stingless bee Tetragonisca angustula started with the finding of a new nesting site by scout bees, followed by the cleaning of the cavity. Cerumen was flown in from the mother colony for the sealing of crevices and the construction of an entrance tube. Major investment of the mother colony in the daughter nest was in workers and cerumen. Almost negligible amounts of pollen were transported from the mother colony after arrival of the gyne in the founding colony. Small quantities of honey were transferred as well. Workers from the daughter nest foraged actively for pollen. Some 500 to 1000 workers entered in the daughter nest, following the virgin queen. This is only a relatively small proportion of the population of the mother colony. Two to four days after the nuptial flight the young queen started egg-laying, and storage pots, mainly filled with honey and some pollen were encountered. In the mother nest, ample pollen and honey stores were present during the months preceding the swarming process. 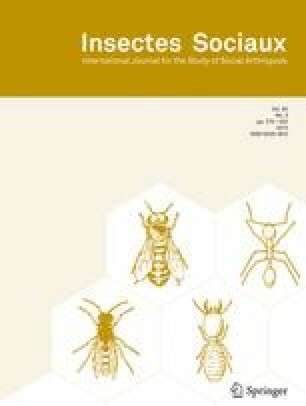 Shortly before swarming took place brood (and adult) populations were 20 to 50% higher than in the other non-swarming colonies, whereas the production of royal cells and males was not different. Data were compared with those got in literature. Key words: Stingless bees, Tetragonisca angustula, swarming, founding. Received 30 November 1998; revised 15 June and 28 July 1999; accepted 9 August 1999.